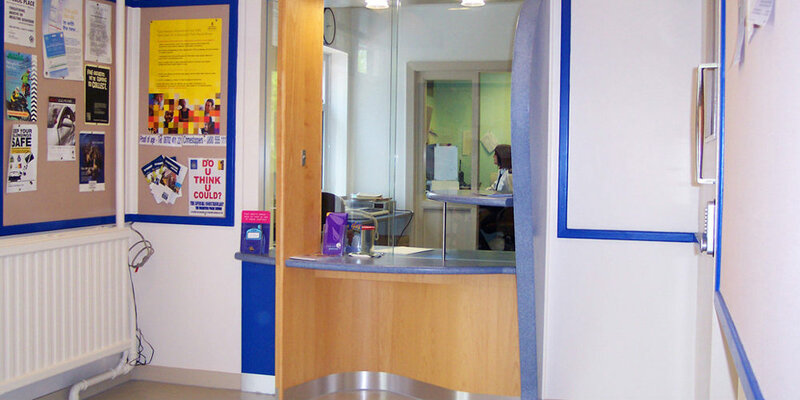 "Central to this was the design of an entirely different kind of reception desk together with good lighting and an open ambience." 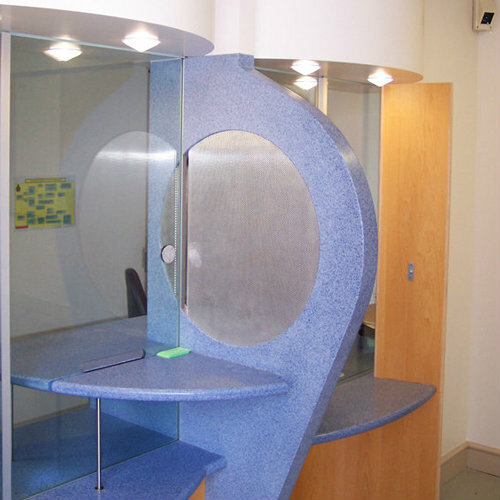 When Suffolk Constabulary sought to address the poor quality of their police station receptions they commissioned Inkpen Downie to develop an approach, which could be applied across the board. 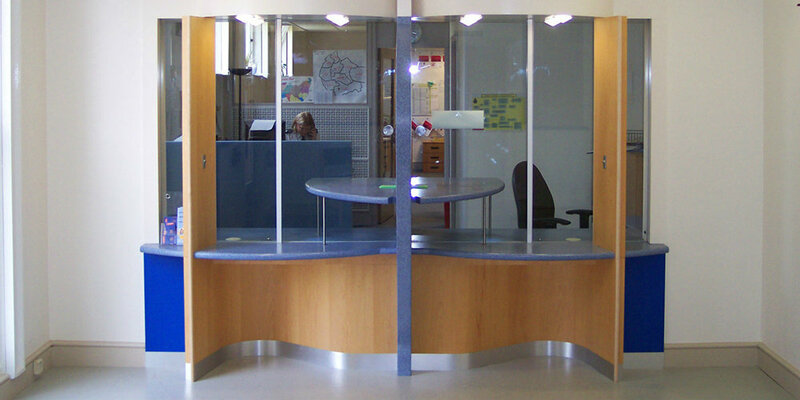 Central to this was the design of an entirely different kind of reception desk together with good lighting and an open ambience. Suitable for use by ambulant and wheel chair disabled. 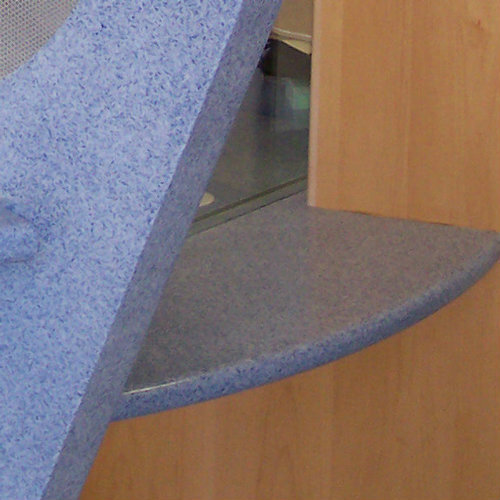 Attractive materials enhance the user experience. We undertook Access Audits of the stations, together with a consultation process with station staff. 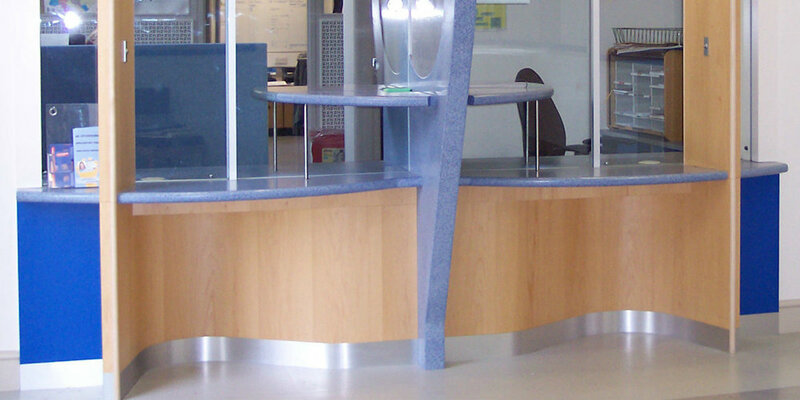 A prototype reception desk was produced to allow staff to make their comments and influence the design. Using robust materials the desk is designed as a kit of parts that can be used in different combinations in each of the stations.